Embattled Samsung Electronics said Friday it expects profits to jump by half in the first quarter, despite a smartphone recall fiasco and the arrest of its de facto head. The forecast will come as welcome news to the South Korean giant after a torrid period in which it had to ditch its flagship Galaxy Note 7 after several battery fires. The debacle cost the company billions of dollars in lost profit and hammered its global reputation and credibility. Its vice-chairman Lee Jae-Yong, heir to the parent Samsung group, has since been arrested and indicted for bribery, along with four other senior executives, in connection with a graft scandal that saw ex-president Park Geun-Hye impeached. On Friday, the world's largest memory chip and smartphone maker said it expected its operating profit in the January-March period at 9.9 trillion won ($8.8 billion), up 48.2 percent from a year earlier, thanks to strong sales of memory chips and display panels. It would mark the second-highest quarterly operating profit ever posted by Samsung. Its largest-ever quarterly operating profit was 10.1 trillion won, recorded in the third quarter of 2013. The jump in operating profits came despite Samsung sales only increasing by 0.44 percent to 50 trillion won on-year. Shares in the company were down over one percent in morning trade on profit-taking. Analysts put the solid results down to fat margins in chips and OLED display panels. "This is better than expected", Greg Roh, an analyst with HMC Investment Securities told AFP. Semiconductor chips were estimated to have brought in some six trillion won profits amid strong chip prices, he said. "In the second quarter, Samsung's operating profit is expected to hit an all-time-high 12 trillion won", he said. For the whole of 2017, operating profits will be a record 47 trillion won, he added. Samsung holds back details about each business division's performance until it posts the finalised earnings report later this month. But analysts said the company was recovering fast from the recall fiasco, which caused operating profits in the IT and mobile segment to plunge. IBK Securities Co. Lee Seung-Woo said Samsung's earnings will further improve down the road as its revamped Galaxy S8 smartphone hits the market this month. "The second quarter sales are likely to grow 13 percent on-year to around 57.6 trillion won as operating profits are expected to be 12.1 trillion won, up 49 percent", Lee said. At its unveiling in New York last month, the large-screened Galaxy S8, which incorporates a native virtual assistant, won widespread praise. Analysts also said Samsung was likely to continue benefitting from the strong global demand for memory chips, especially NAND flash chips used for long-term data storage, throughout this year. 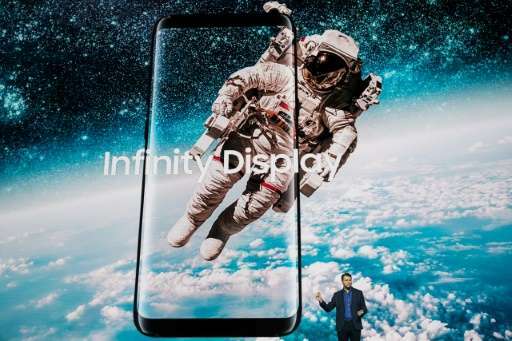 Sales of OLED display panels for mobile devices will also remain strong, keeping Samsung's bottom line solid, they said.